Discover one of Lapland’s hidden gems on this 2-hour Lapland amethyst mine sleigh or snowmobile tour from Luosto. Hop onto your snowmobile-pulled sleigh and head into the Pyhä-Luosto National Park. 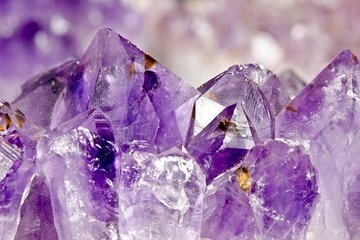 Gaze over Lapland’s snowy wilderness and visit a local amethyst mine. With your ice-pick in hand, scrape at the loose rock in search of shimmering gemstones. Afterward, warm up with a hot berry juice in a wooden miners’ hut as your guide talks of the mine and its precious secrets. Upgrade your tour to travel around on your own snowmobile. The driver of the snowmobile must be at least 18 years of age and in possession of a valid driver’s license in Europe. Driver’s licenses issued by countries that have not signed the Road Traffic Convention of Geneva or Vienna, are not valid in Europe. Please keep your driving license with you at all times as inspection may occur.